I’m sure we all remember the song from your childhood. I’m sure you’ve got vivid memories of standing in a circle as a five-year-old obediently touching your head, shoulders, knees and toes in tune to the music. I’m sure the song, of which the origin is unknown, is in your head right now, in fact. They may just be the words of a children’s song but as we grow older it’s vital that we care for our head, shoulders, knees and toes to keep fit and well. Below, we look at five websites of businesses based in the Winchester area that can help you to stay fit and healthy. A study by Avon in 2015 found that two-thirds of women feel more confident and generally better about themselves when their hair looks good. Women in Winchester can join that 67% by visiting Haringtons. Their award-winning hair salon is located behind the cathedral but just a few yards from the High Street. Use the salon regularly throughout the year and you will receive membership to their esteemed loyalty club too. If that’s not an incentive to you spend a morning or afternoon every six weeks pampering yourself, what is? It is always advisable to use a well-reputed salon to avoid the risk of hair damage claims. So, that’s Haringtons looking after your head. We have so much on our shoulders nowadays. Work, kids, lack of money, spouse, running the home, wonky car, aging parents, Brexit. Ok, perhaps not Brexit. But the list seems endless at times. Massage increases blood circulation and relaxes soft tissue. It can also lessen depression and anxiety. So what better way to unwind than having a trained masseur release any tension and stress, at The Winchester Hotel & Spa in Worthy Lane? Now you have your shoulders taken care of. Our knees take a pounding over the years and need looking after. Pain can be caused by injury or just over use. And it can strike people of all ages. Winchester Physiotherapy and Sports Injury Clinic, which is based in River Park Leisure Centre, also caters for non-sporting injuries. Patients are often referred there by GPs and consultants. Their treatments include manipulation, massage, electrotherapy, and acupuncture. So whether you are a keen runner, sports participant, or just feeling the effects of life’s general wear and tear Winchester Physiotherapy have got your knee care covered. Alternatively, they are many clubs that you can join and participate in physical activity, even some that are gentle on the knees! There are hundreds of clubs to join, for people of all ages, including exercise clubs for the elderly courtesy of the brilliant care homes in Winchester. So often overlooked because they are usually hidden away, our toes need constant attention. Anyone who has suffered an in-growing toenail will bear witness to that. But it’s not just those pesky burrowers that affect our feet. Winchester Podiatry, in Stoney Lane, Weeke, treat nail fungus, verrucae, athlete’s foot, corns and, in fact, all disorders of the lower limb. That’s not just your toes taken care of your feet in general. Rescue your feet after the party season with a January appointment to refresh and revitalise. Ah, the third line that everyone forgets. Something else we tend to forget is that problems with teeth can affect other parts of the body. A tooth infection can cause sinusitis, an abscess can cause ear ache and decay can cause blurred vision and pain in the eyes. Scaremongering aside, regular appointments are essential for identifying and treating potential problems before they become something far more painful and costly. City Bridge Dental, are a highly recommended private dentist in Winchester. Not only will they look after you with preventative dentistry but they are also a renowned cosmetic dentist in Hampshire offering teeth whitening and dental veneers for that perfect Hollywood smile. So regular visits to the dentist not only takes care of your mouth but could keep your eyes, ears, and nose in check too. 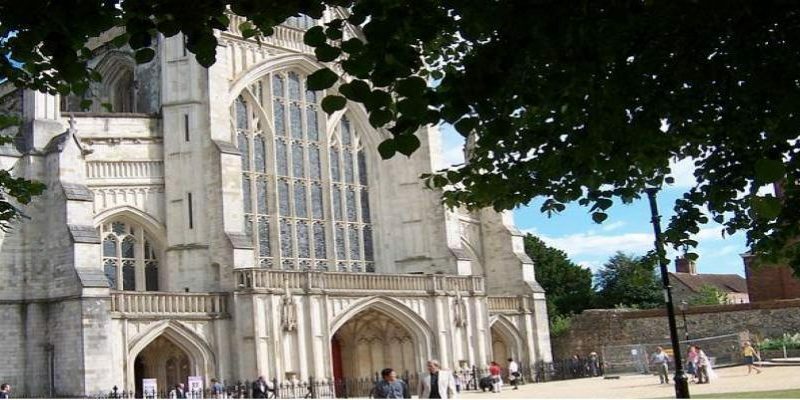 Have you used any of these businesses in Winchester to keep fit and well? Let us know the ones that you would recommend.